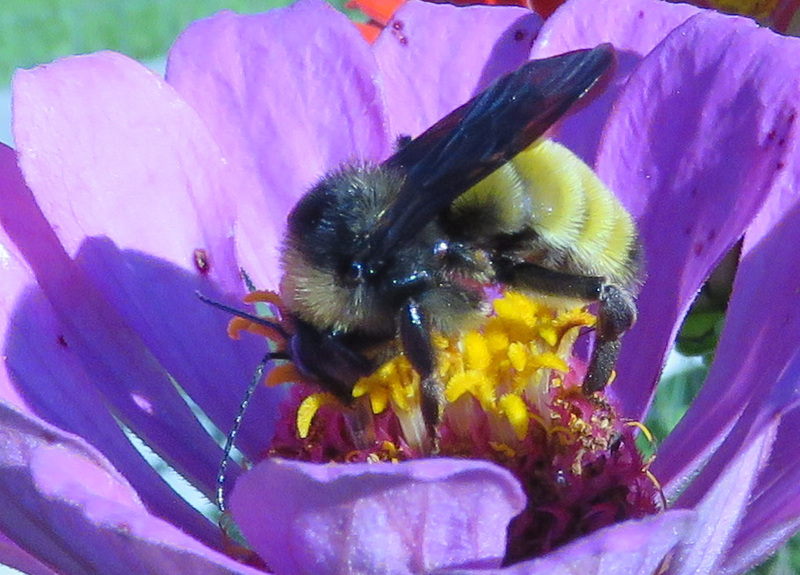 There is something about mimic insects that I just love, the way they think they are fooling everyone. 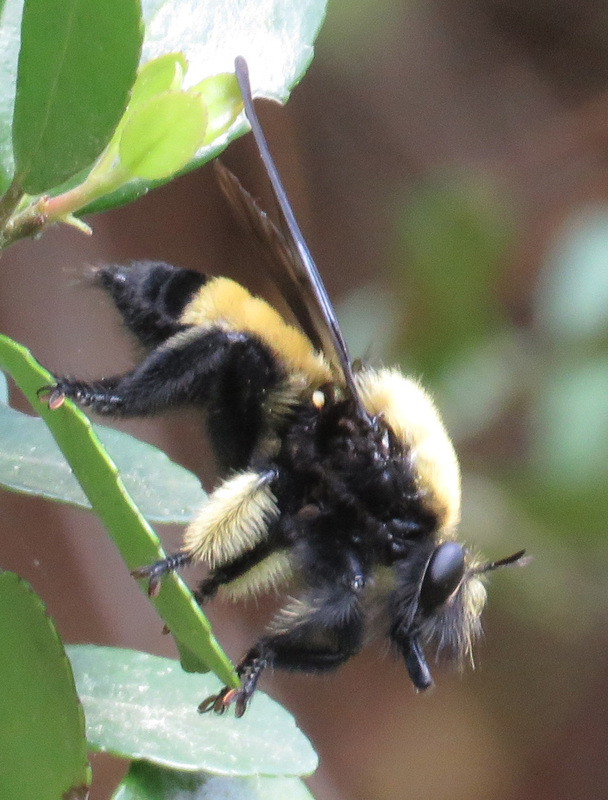 But with mimics like robber flies — you see one and your mind’s snap judgement is “bee”, but something about it nags at you. 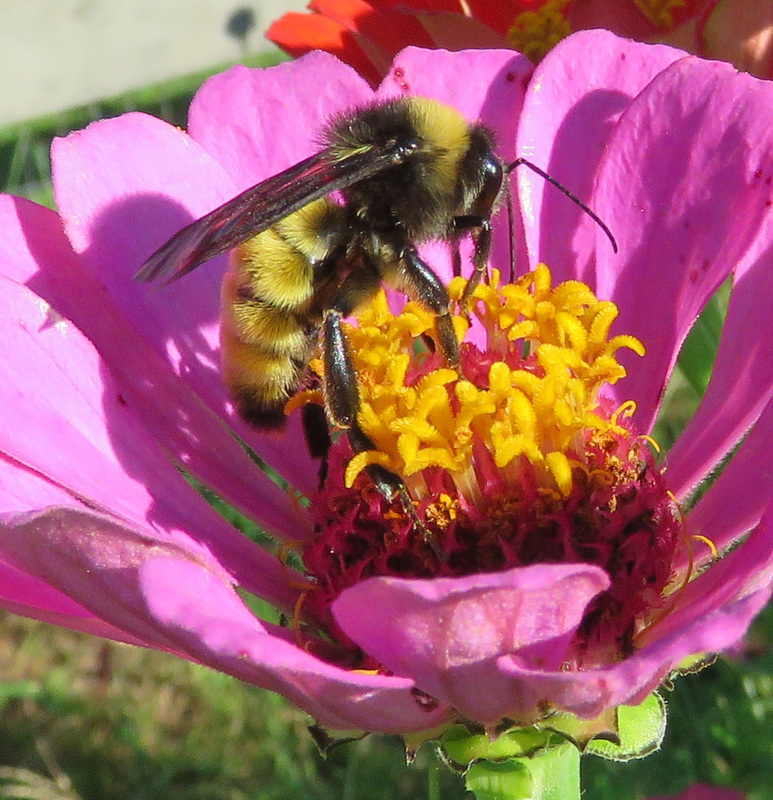 It isn’t deep within a flower, collecting pollen as quick as it can go, it’s just sitting right out in the open on a leaf or a branch, not even near a flower. 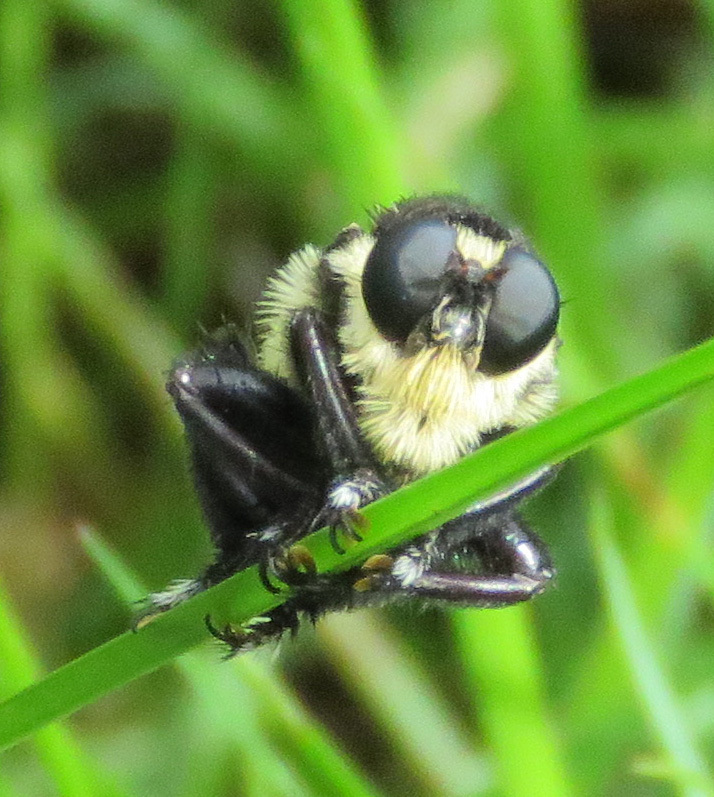 Robber fly on grass stem. Mallophora sp., I think. 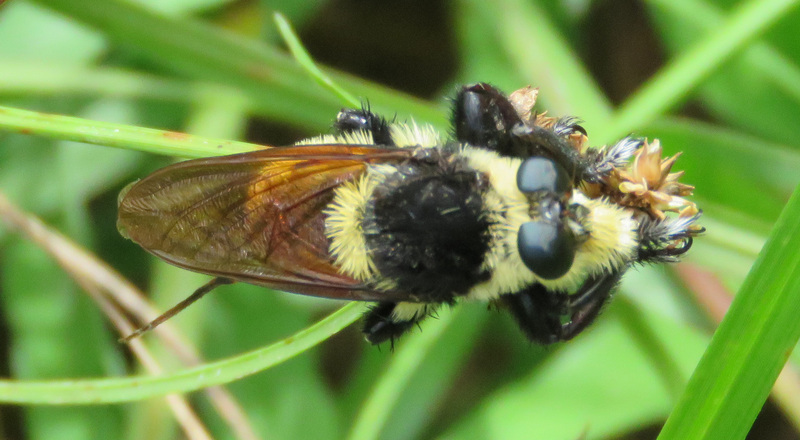 Robber Fly, Laphria grossa , I think. Sometimes it’s clutching the remains of its victim. 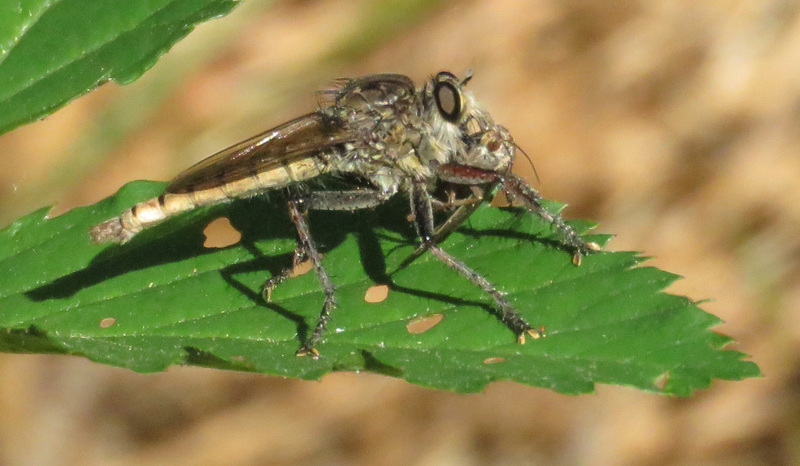 Robber Fly with prey. 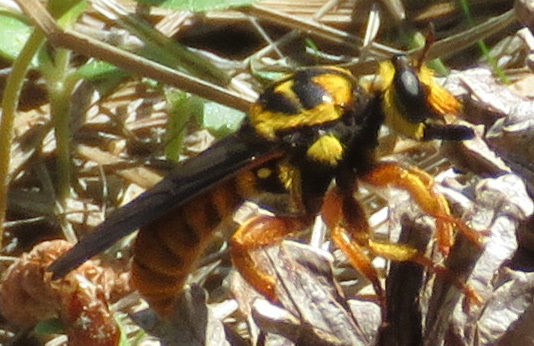 Possibly Promachus hinei. Just hanging out, looking around — until it notices you looking in its direction. It tries to stare you down for a minute, then it gives up and zooms off, way across the field. This week I read about another insect mimic, a wasp mantidfly, which looks like a cross between a wasp and a praying mantis. I will be looking more closely at the wasps around here to see if I can find one. Very interesting post – good pictures BTW….